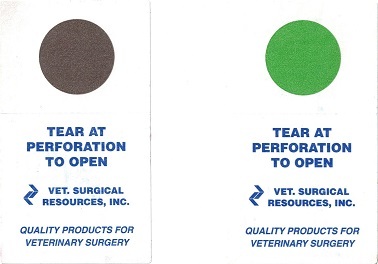 The perforated stickers used to close the csr wrap on our products are being updated. 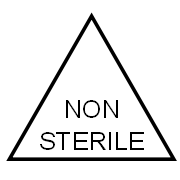 They now include a printed process indicator for sterilization. 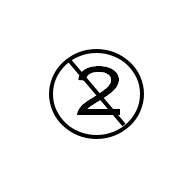 Non-sterile items will show a purple circle. Once exposed to ethylene oxide the circle will change to green. Please contact us for more information. Table covers - Vet. Surgical Resources is in the process of transitioning the table covers used in our kits from a zone reinformcent to a complete reinforcement. The new table cover has a reinforcement the full width of the table cover to increase protection against accidental tears or punctures. The 44" X 78" table covers will transition immediately with other sizes transitioning in the coming months. Please contact us for information or samples. VI-Drape® Adhesive spray has been discontinued by Cardinal Health and will no longer be available. We are currently attempting to locate a replacement and will update this when one is found. Vet. Surgical Resources is pleased to offer a new equine colic surgery gown. This gown is constructed from a breathable, impervious barrier fabric similar to our other colic gown offerings and will be available in small. Please contact us for information or samples. By customer request we have added a new, larger colic drape. Equine lap sheet #3083 retains the 210" length of our largest colic drape but will be 40" wider at 180". More information may be found on our large animal lap sheet page. Please contact us for information or samples. The vendor for the 4" X 4" gauze used in kits and sold individually has changed. Starting in September of 2014 4" X 4" 16 ply, radio-opaque gauze will be Covidien part number 441601. Customers should notice little change as this is an exact replacement for the previous gauze. Due to a supply chain problem, the EO indicator tape used on our products may change. Generally, all products have 3M Comply EO indicator which is green tape with yellow striping that changes to red when exposed to EO. 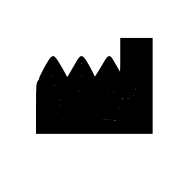 Starting in May 2014 Propper Manufacturing Gas-Chex® will also be used. This indicator is white tape with red printing that changes to green when exposed to EO. Please contact us if any additional information is needed. Vet. 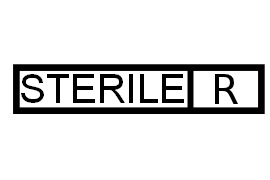 Surgical Resources is pleased to offer a new line of viscera retainers. Retainers are single use and sterile. Available in 9" X 14" (23 X 36cm) and 5" X 9" (13 X 23cm). Please call for details and pricing. Vet. 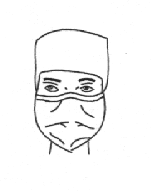 Surgical Resources is pleased to offer discounted pricing on Cardinal Surgical Caps and Masks. Please call 800-354-8501 or email for more information, pricing, or to place an order. Easy-Tie and Insta-Gard are trademarks of Cardinal Health, Inc.
Our battery covers consist of a small bag with a cuff and a tape strip. 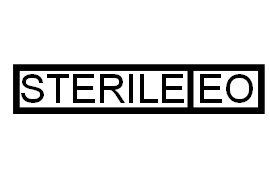 The nonsterile battery is dropped in the cover and then attached to the drll or saw. The cuff is rolled up onto the sterile drill or saw and secured with the tape. The cover eliminates the risk of accidentally autoclaving expensive rechargeable batteries. Please contact us for more information. We are pleased to introduce a reusable 5 L pressure infuser bag. These bags are built with heavy, washable cotton and a transparent net to allow fluid level checks. Chrome plated, easy-read manometer allows for accurate pressure readings. Latex-free inflation bulb. 0.5 L, 1 L, and 3 L bags are also available. Please contact us for more information. The #3087, #3088, and #3089 colic drapes have a new impervious reinforcement on the top surface of the enterotomy pouch. The minimizes sticking if the bowel is placed on top of the drape rather than in the pouch. The instrument sorters have been removed and the suction hose holders have been replaced with the hook and loop type and moved to the head end of the drape to increase their utility. Please do not hesitate to contact us if more information is required. The #3205 table cover is now 44" X 78" (112 cm X 198 cm) overall and features a 24" wide SMS lamination. This lamination has a greater moisture repellancy and tear resistance than the wetlaid nonwoven it replaces. The number #3206 and #3207 table covers will be updated as stock is replenished. Please do not hesitate to contact us if more information is required. 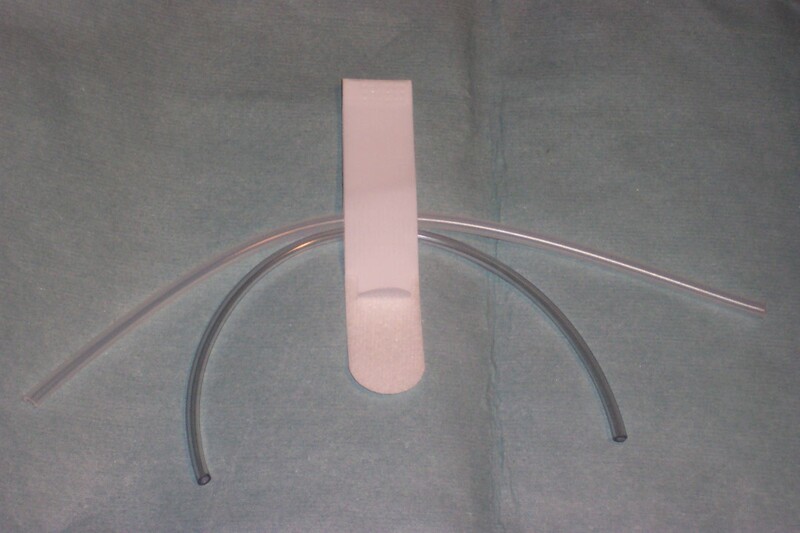 Our large animal orthopedic sheets now include two hook and loop tab style tubing and wire holders per fenestration. Holders are located on each side of the fenestration on the long axis of the drape about 30 inches (76 cm) from the fenestration center. These holders are large enought to accommodate several hoses or wires and may be applied to the mid portion of the wire or hose. 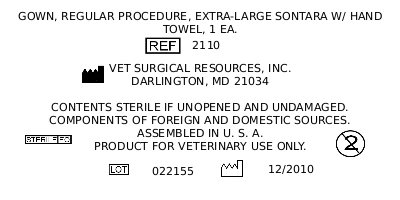 Look for this updated feature on our large animal orthopedic sheets soon. Our colic gowns have been updated to a new fabric which offers exceptional breathability without sacrificing protection. These new gowns meet the AAMI Level 4 protection standard. They are generously sized and 4 inches (10 cm) longer than the standard size gown to ensure complete coverage. Vet. Surgical Resources' colic gowns will keep you cool and dry in even the most demanding surgeries. Please call for samples. The 3 and 5 liter pressure infusers have been updated to include a pressure gauge for easy monitoring. The infusers are also now constructed from a durable nylon to ensure long life. Small animal orthopedic drape with integrated fluid pouch. The construction of our #6086 drape has been updated to increase the utility of the fluid control pouch. The pouch is now clear and has a conformable fenestration in each face. At the time of surgery, the surgeon makes a small slit on both faces to pass the limb through the pouch. Pictured at right. As part of our on going product improvement efforts, Vet. Surgical Resources is replacing the #3020 with the #3020A drape. The #3020A drape is a modification to the fold of the #3020 and will replace it in the coming months. The new drape has identical barrier properties as it is made from the same fabric. 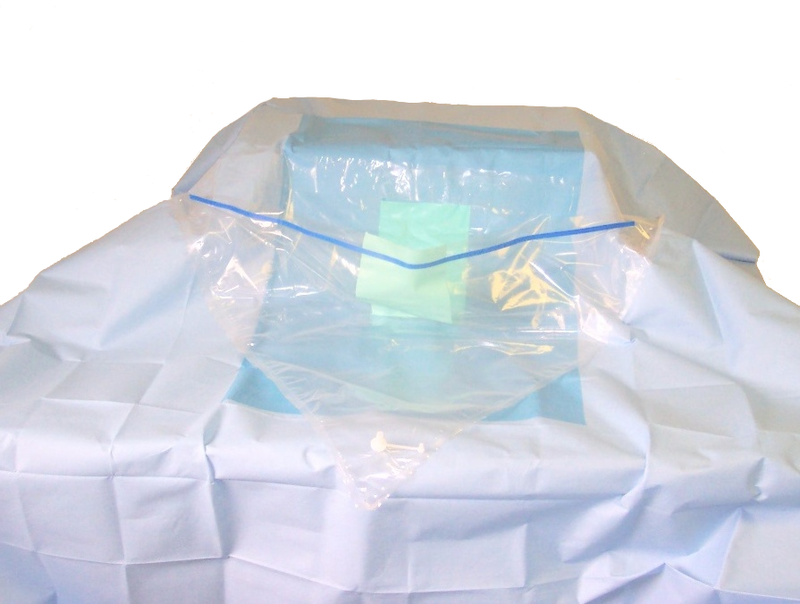 The only change is a modification to the fold so that the impervious plastic layer is on the top of the drape, away from the patient, rather than towards the patient as in the previous configuration. In this configuration surgeons will experience virtually no linting from these drapes. Lint generated in the operating room increases the possibility of post operative complications due to microorganism transfer and the introduction of a foreign body. Customers should note that the product number will change to #3020A which designates the new fold. Please do not hesitate to contact us if there are any questions concerning this modification. 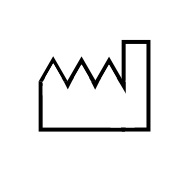 In order to provide more information on our product labeling we are incorporating current international standard symbols for medical packaging. 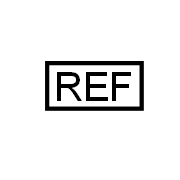 Below is a sample product label showing the symbols as well as the new information displayed. 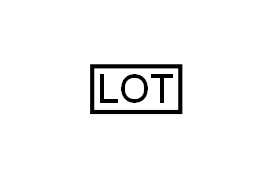 Lot numbers will now be located on the product label instead of on a separate lot number label as in the past. The manufacture date will also be included on the label. The updated information also includes product sources and intended use. Please contact us for more information. In the spring of 2010 we introduced our first absorbent drapes with impervious coating. This non-woven material has a low weight to absorbency ratio. It is low linting and completely impervious. It is ideal for procedures where fluid control is critical. When combined with other fluid control options such as our arthroscopy fluid pouch it provides a novel means to handle fluid in the operating room. Please contact us for details on this new draping.